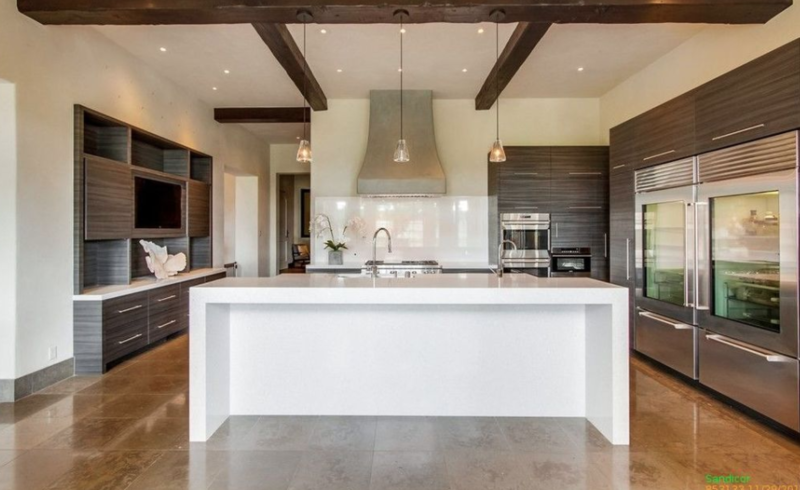 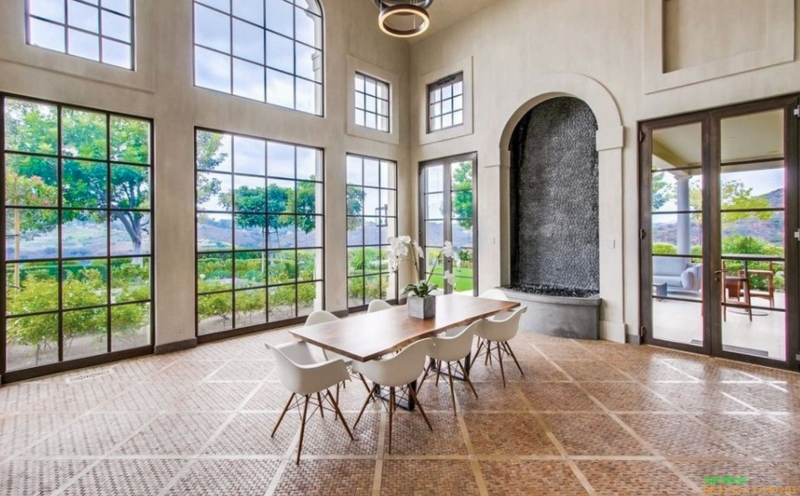 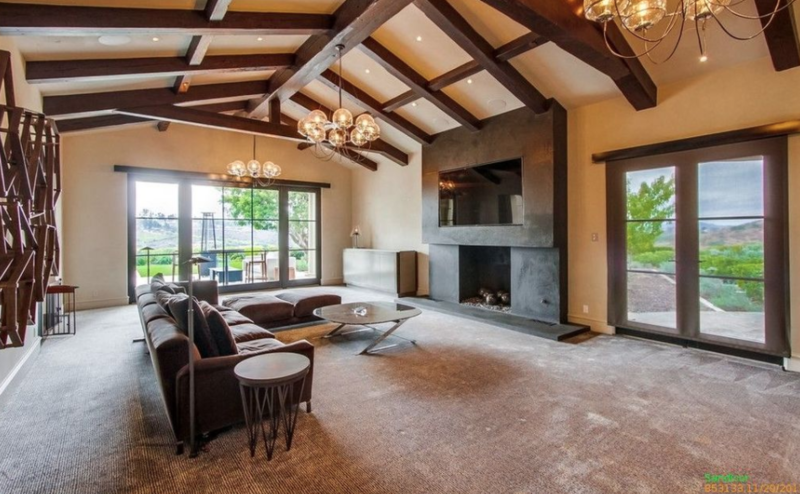 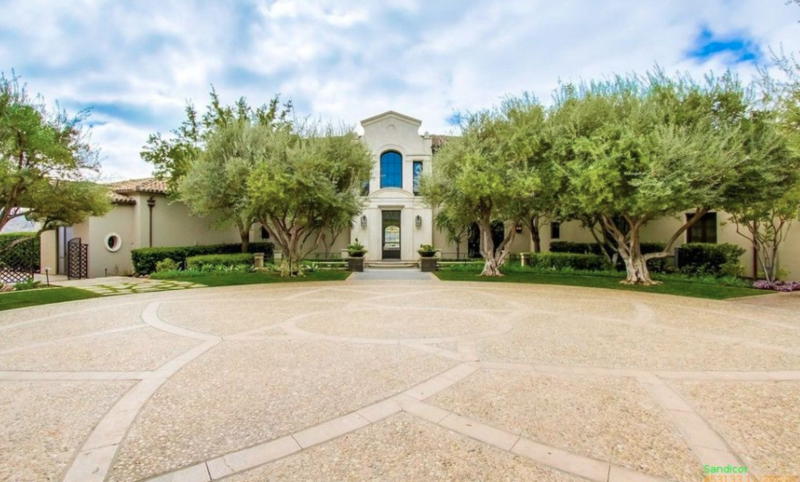 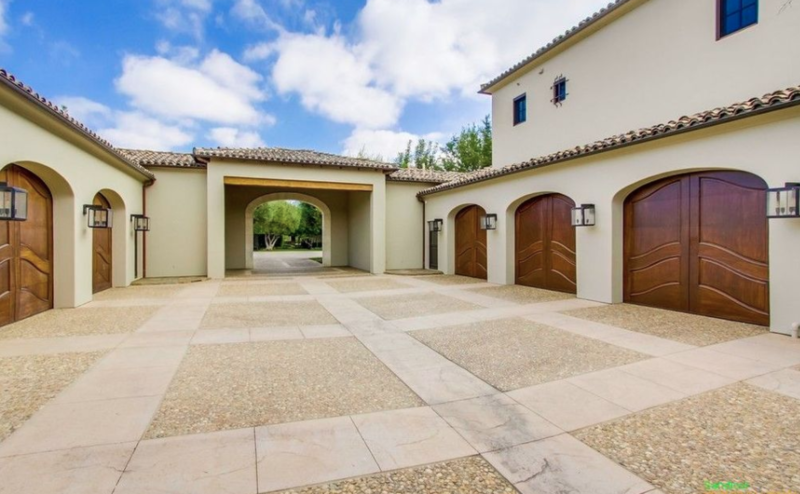 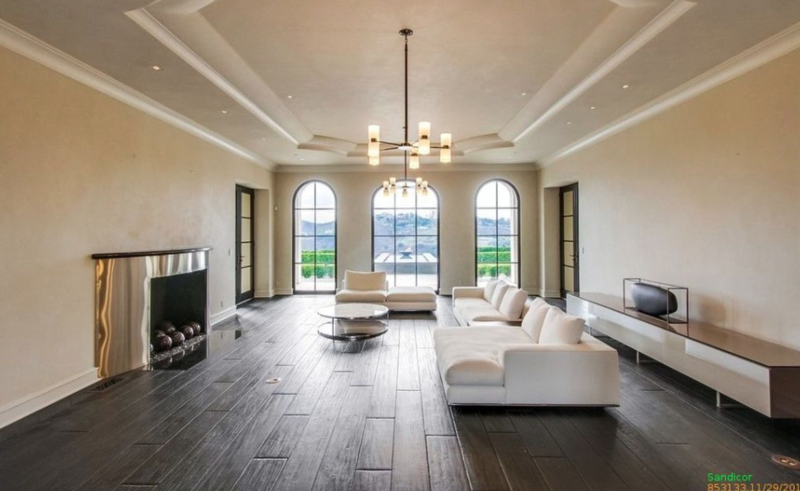 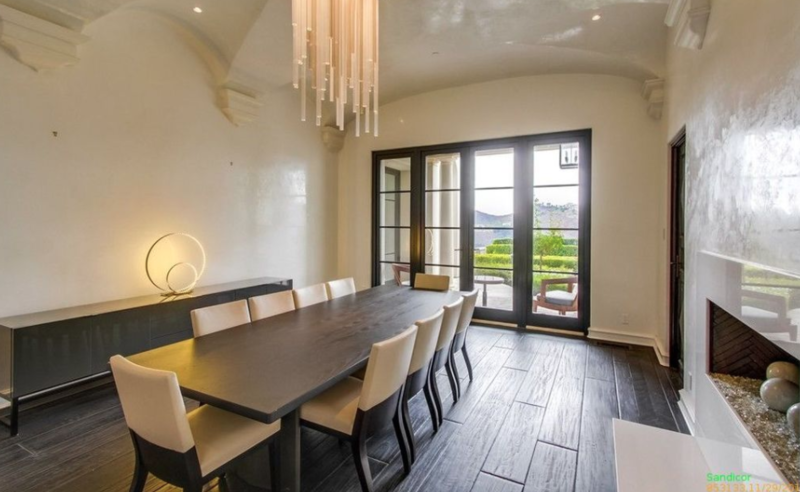 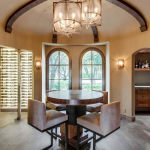 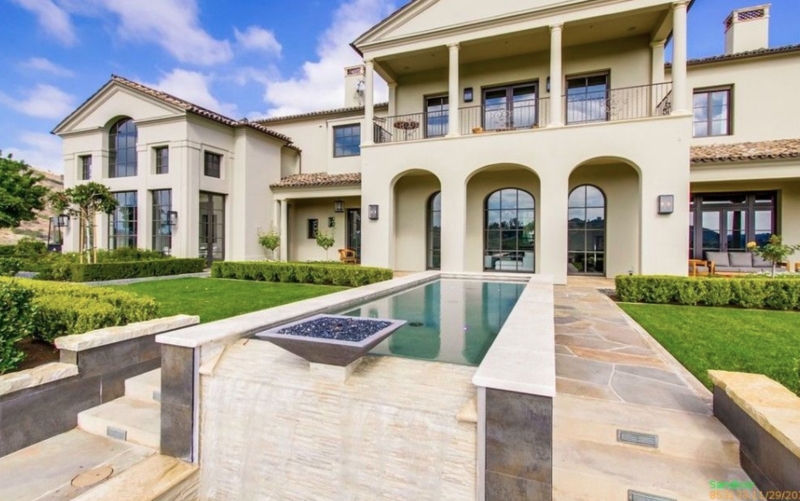 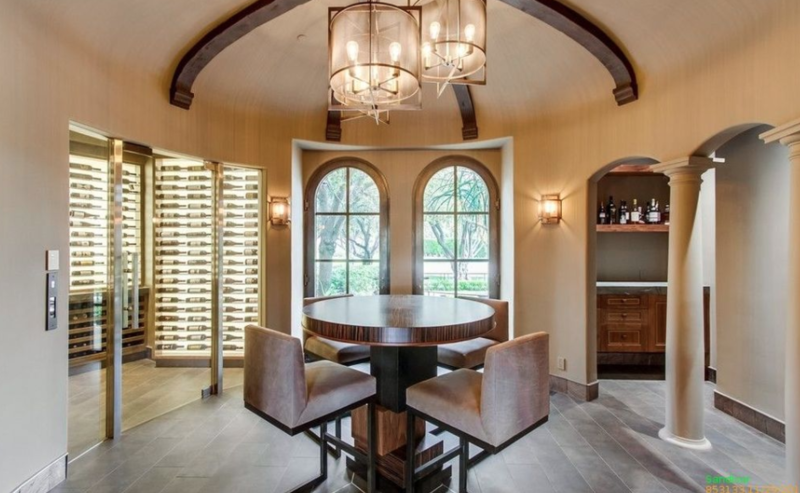 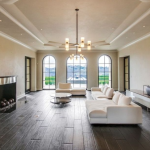 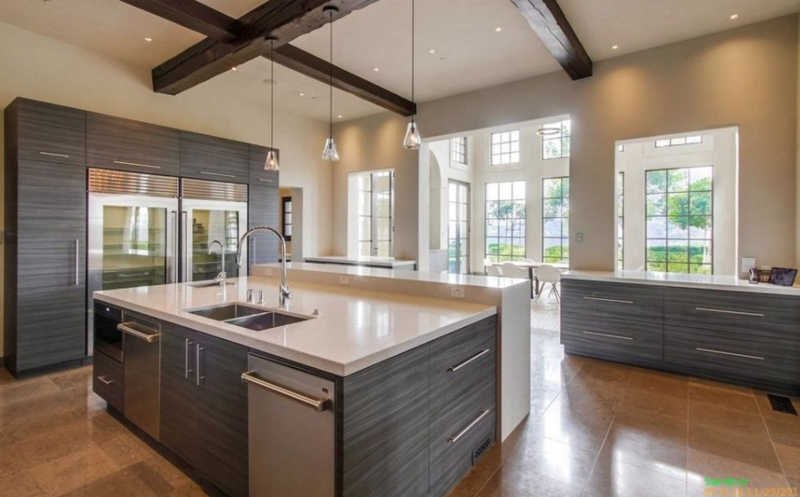 This Italian inspired mansion is located at 14105 Biscayne Place in Maderas Golf Club in Poway, California and is situated on 2.5 acres of land. 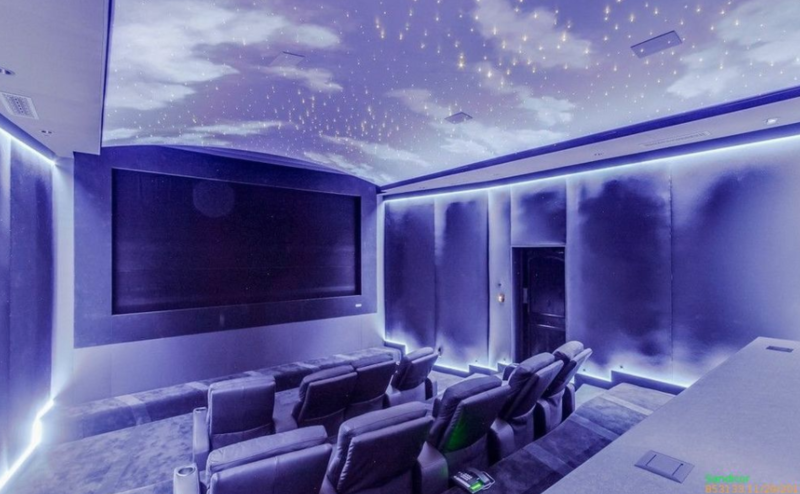 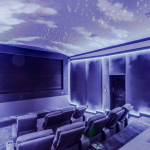 It was built in 2003 and features approximately 15,844 square feet of living space with 5 bedrooms, 5 full and 3 half bathrooms, 2-story foyer with staircase, elevator, formal living & dining rooms, gourmet kitchen, solarium, family room, home office, cigar lounge, game room with wet bar, home theater, gym, hair salon, wine cellar, 5-car garage and more. 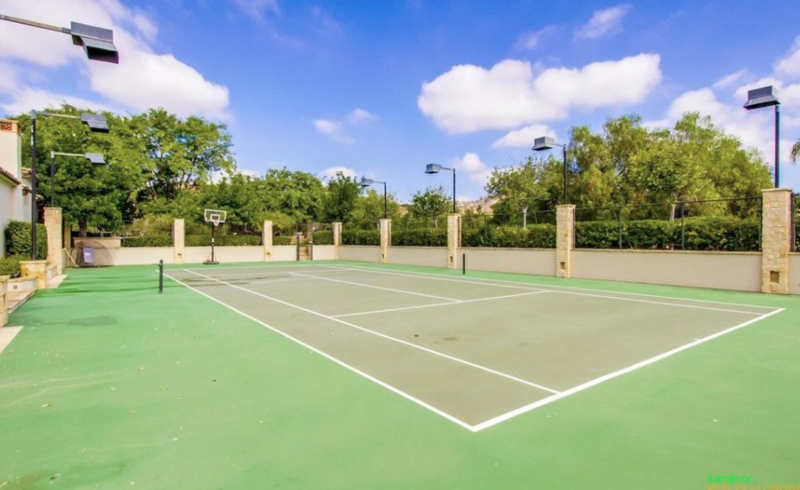 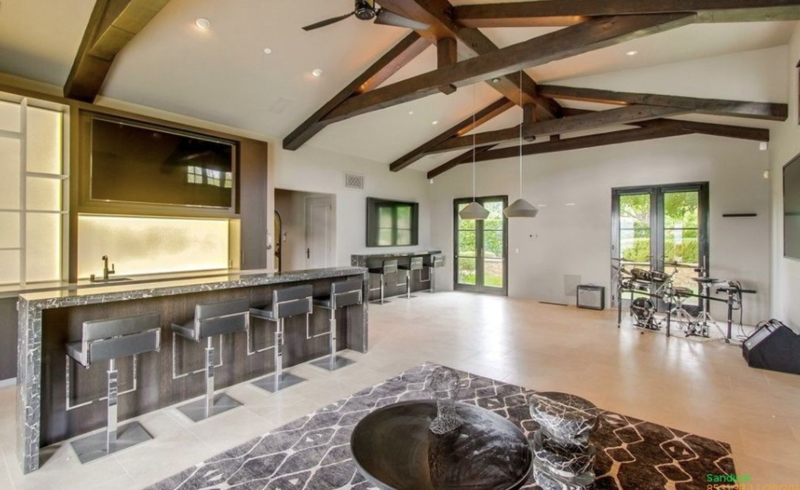 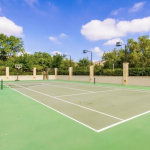 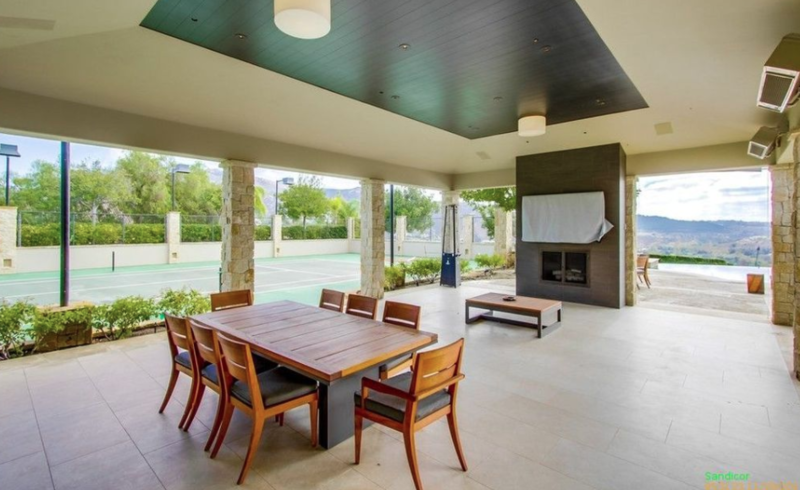 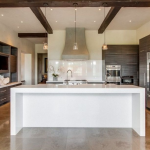 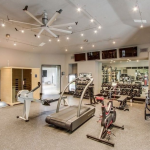 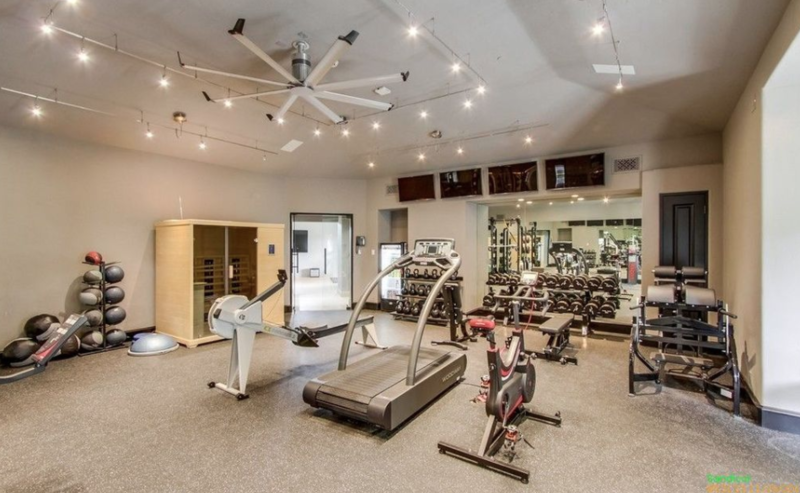 Outdoor features include a gated entrance, 2 motor courts, multiple water features, 2 balconies, loggias, kitchen/BBQ, infinity edge swimming pool with spa and a lighted tennis/basketbal court. 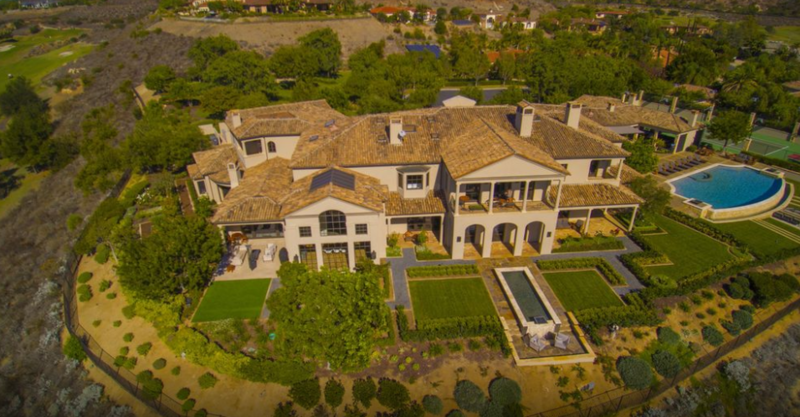 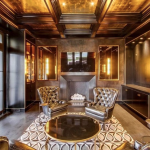 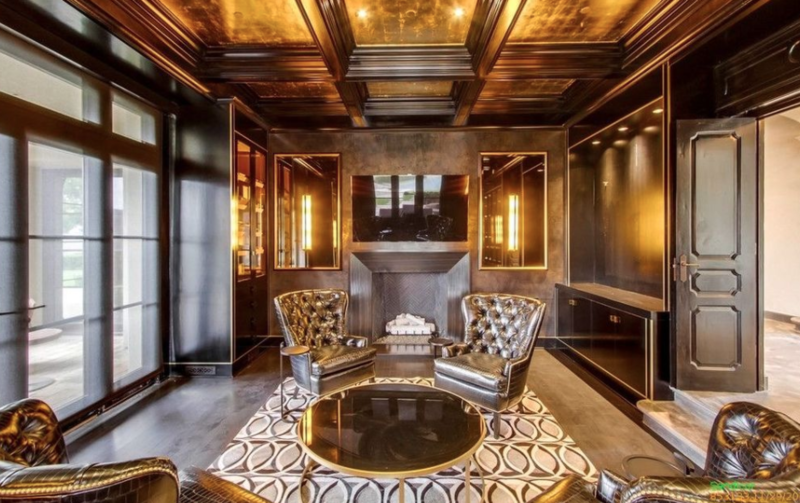 It is listed at $7,950,000.